Phew~ this week is going to be a very busy one for me, in both offline and online but hey, I'm not complaining. Complaining isn't exactly my bag. I know I'm not the only one who led a hectic life. So, how do you like to relax or unwind after a busy day? Some people love to curl up in the sofa at home with a glass (or two) of wine and a good book. Some like to unwind by trimming and watering the flowers in the garden, like my mom. Well, I usually just relax with a cup of coffee or pamper myself with a nice bubble bath. I really found comfort in my bathtub. I can relax while I shower. This alone is reason enough! #1 Grey Riven Slate Floor Tiles combine effortlessly with the lighter marble effect Murano Ceramic Wall tiles for this classic yet unique look. #2 Made from real Travertine limestone, Wickes Travertine Mosaic Wall and floor Tiles add traditional style with a hint of contemporary. #3 These Emprador Marble Wall and Floor Tiles are ideal for adding a touch of quality and luxury to any modern home. 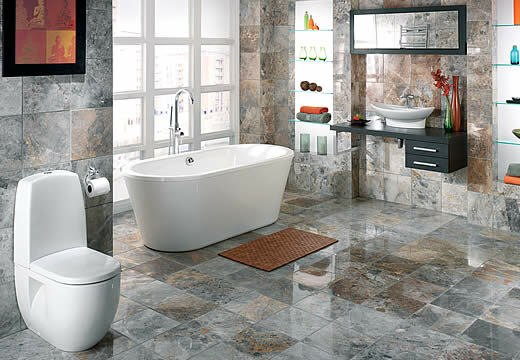 #4 Their onyx effect wall & floor tiles use the latest print technology to look like stone tiles, at a much lower price. #5 These hard-wearing porcelain floor tiles give you the natural beauty of slate, and are easy to clean and maintain. 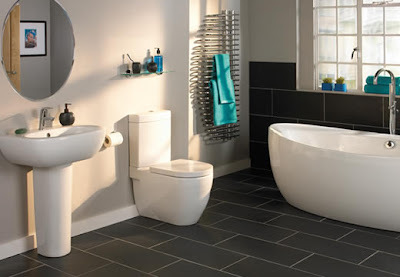 Wow, they offer the Wickes Bathrooms suites I have been longing for! 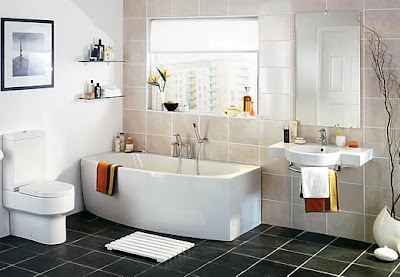 Wickes is one of the major brands in the home improvement market. If you're looking to do it yourself and make minor home improvements or add genuine value to your home with a new kitchen or bathroom, you'll find what you need at Wickes. They have the supplies that you need to do it yourself at a cost that suits you, and they also offer expert DIY advice to guide you through your home improvement projects! Relaxation is something everyone must not forget. Rich or poor, it's an obligation that we should willingly give because no matter how hard you work, you won't get far enough if your body and mind will not let you because of weariness and melancholy. So needless to say, even if my energy is spread thin, I make time to pamper myself and relax as it's definitely important to make "me" time! wah.. i want those bathroom too Mon!!! I love to relax especially after a hard day's work! i love the second one... it is not so big and not so wide but not so small as well... just perfect! those bathrooms are awesome. if i've any one of these, i could be soaking in the bathtub for hours. Wow! I love these bathrooms :) I think they are very elegant! I am planning to remodelate mine and I will probably start by changing the faucets and the shower column. 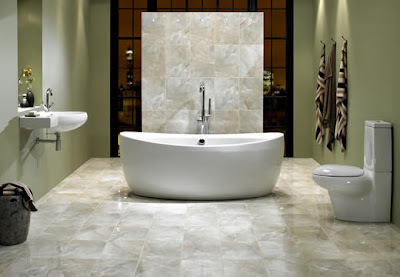 I have seen a beautiful bathroom firm called Roca, that comes from Spain, and distributes in Malasia!